The other day I went to take some Tylenol for a headache and it reminded me of something funny that happened while I was studying here. Whenever I got a headache, my host mom would give me paracetamol. And yes, I regressed a few years while living with my host mom…didn’t have to cook, clean, do laundry, make my bed or anything. I don’t think I brought any over the counter pain meds with me from home, except maybe ibuprofen (which I don’t take for headaches), so my host mom was also in charge of doling out the paracetamol. Anyway, one day, talking with my friend J., we both commented about how well paracetamol worked to get rid of our headaches. We were convinced it was a miracle drug. When it was getting time for us to leave, I thought about buying a bunch of paracetamol and bringing it back with me to the states. Before I did so, though, I wanted to check to make sure it was legal in the U.S. and not banned by the FDA or something like that. Some medicine that is available in Chile is not approved for sale in the U.S., such as Idon, which they gave me after my surgery to prevent nausea and Buscapina compositum which I have taken for really bad stomachaches. So, before I left for home, and luckily before I went out and bought out the local pharmacy’s entire supply of this miracle drug, I did a little Google search. You all probably know by now what I found out. Paracetamol is the same as acetaminophen! In other words, J. and I had been taking generic Tylenol the whole time. 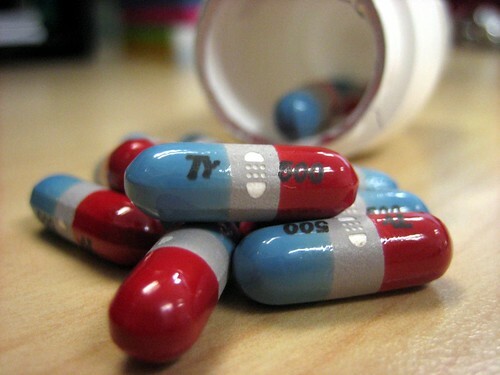 According to Wikipedia, the word acetaminophen is only used in the U.S., Canada, Japan, South Korea, Hong Kong and Iran. In the rest of the world, it’s paracetamol. Here in Chile, I think the two most common brands are Tapsin and Kitadol, although there are also generic brands. Some Tapsin and Kitadol pills have caffeine added too. The pills without caffeine (which I buy) are 500 mg, which is the same as Extra-strength Tylenol in the U.S.
As to why J. and I thought that paracetamol was a miracle drug, I think it was probably all in our heads. This entry was tagged acetaminophen, headache, host family, paracetamol, tylenol. Bookmark the permalink. Yeah seriously, it is way more expensive here. I hadn’t even thought of that until you mentioned it. I am also in favor of meds to feel better! I hope you are better from the ick you got in Arequipa. Haha I’ve heard people who swear that US otc meds are different than the Chilean version. I myself actually prefer to take US ibuprofen but that is mostly because I can control the dose better (200 mg pills vs. 400 or 600 mg)…I’m pretty sure that chemically they are the same. Hahaha. Awwww, I do think that recovery does help with how you feel mentally too. 🙂 I guess that’s the placebo affect right? Though I have every faith that paracetamol helped aswell.